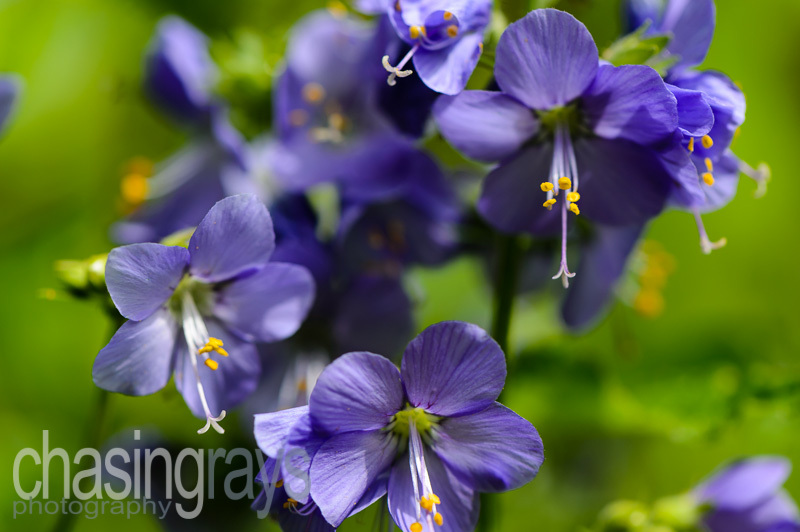 A selection of images of flowers both in the wild and domesticated environments. This might include anything from telephoto shots to macros. 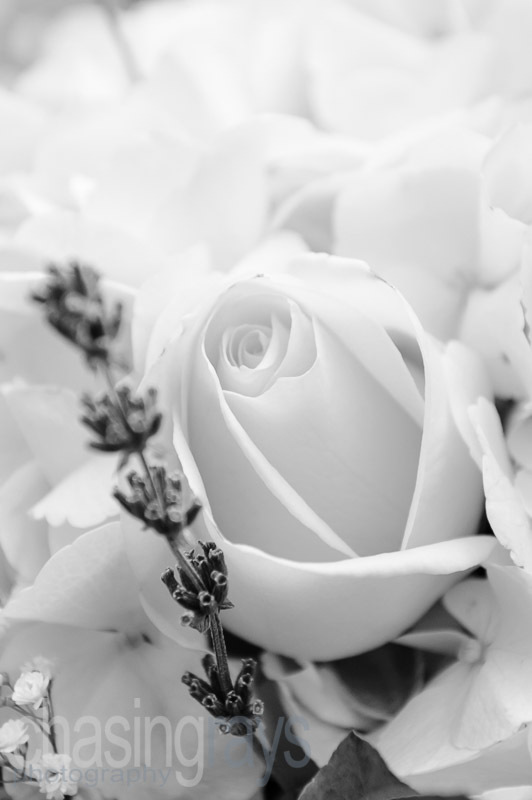 Black and white images put the distraction of colour aside to concentrate on the feeling of the subject, as here with this depiction of this rose and lavender bouquet. 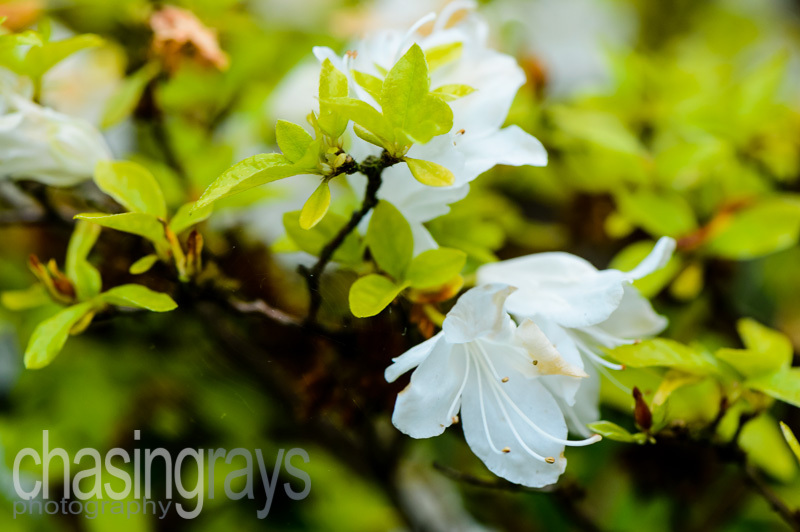 This image was a study in composition of the white flowers of an azalea shrub in the front garden of the house I was visiting. Here, I chose to attempt to find a position where the arrangement of the flowers and leaves of the shrub pulled the viewer's eye through the image in a pleasing manner. This image is an example of the virtue of patience when taking wildlife photographs and understanding - or learning on the job - a little of the habits of what you are intending to capture. 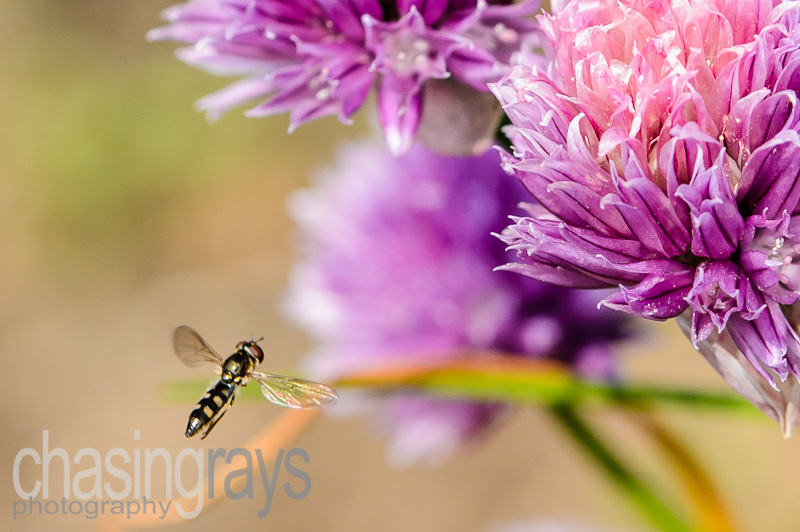 In this case, I'd noticed that this little hover fly paused momentarily before nipping in to pollinate these chive flowers. 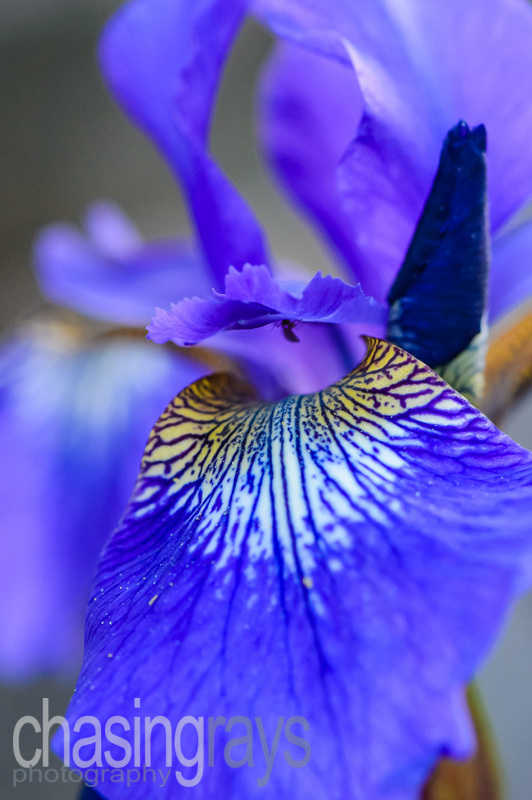 This image was taken to show the fine detail that can be seen in the petal structure of a purple lily. The fine vein-like structure is a particular draw to the eye. This image was taken in the Quiet Garden near Beverley Minster of a purple flower whose petal and stamen detail absolutely captivated me. 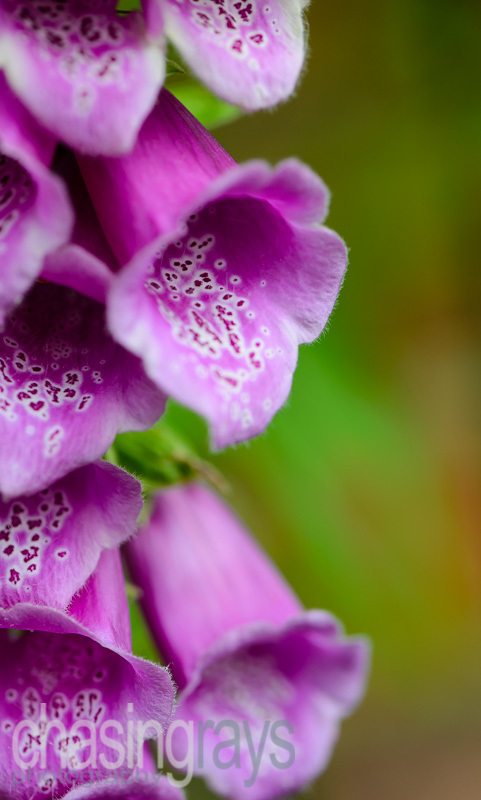 This image was taken in the Quiet Garden near Beverley Minster and shows a detailed macro image of one of the foxgloves that had been allowed to grow there.